Home | ESS Disaster / Emergency Kits | Quakehold | Quake Hold 88111 The Original Museum Wax Quake Hold! Are you a collector of rare and priceless antiques? 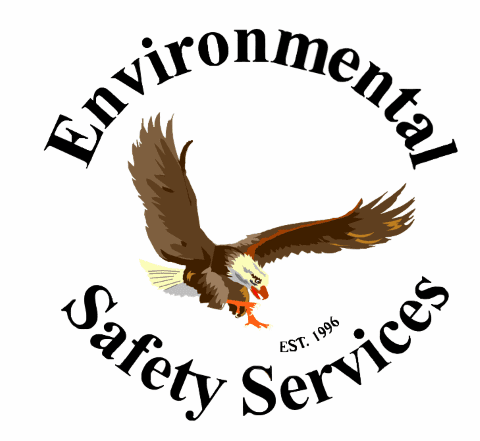 Then their safety must be a constant cause of concern for you. Keep all your precious antiques, artifacts, collectibles, figurines, etc safe from accidental shakes and sudden jerks, children and even earthquake! Most people tend to display their treasured collectibles and other sentimental items on shelves and mantelpieces around the home. However, if they are not secured, they can be vulnerable to breakage during an earthquake. If it's fragile and/or expensive enough to be a significant loss if it breaks, it should be secured in place. 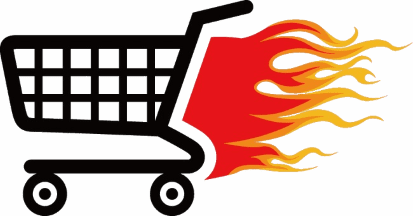 Collectibles, china, pottery objects, and lamps can also become deadly projectiles if they're not secured in place. To stop them from falling over, use either hook and loop fasteners on the table and object, or non-damaging adhesives such as earthquake putty, microcrystalline wax, or clear quake gel to secure breakables in place. Depending on what types of items are to be secured, and on what kinds of surfaces they will be positioned, here are some recommendations as to which adhesive to choose. In the case of china, pottery, ceramic, or wooden items the putty is preferred. For crystal and glassware use the clear gel, and for anything being secured on a more permanent basis on wooden shelves the wax is a good option. 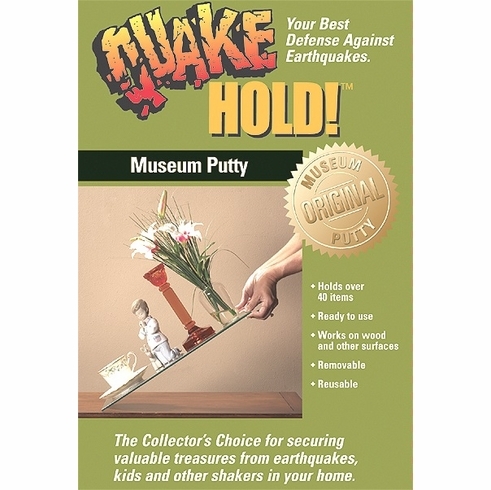 With the use of Quake Hold - The Original Quake Hold museum putty. Roll a bit of the ready to use putty between your fingers until soft and pliable. Apply this to the bottom of the article that needs to be secured on the shelf. Press down the article gently with a slight twist and it fixes to the surface like a suction cup. Since the color is white, the Quake hold will not be visible. This glue is compatible with any material be it wood, metal, glassware, stoneware, etc. Non staining and non messy, it keeps the wooden and other surfaces clean as before on removal. The pack has enough putty to hold over forty items, is non toxic, ready to use and reusable.